Professor Nick Enfield, Chair of the department of Linguistics at Sydney uni has been visiting and studying The Kri people for 15 years. 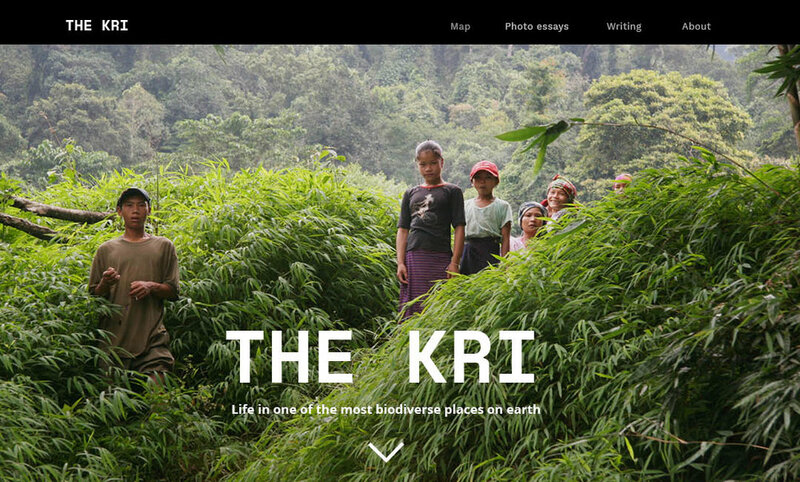 The Kri are 300 villagers who have sustained life in the remote southwestern region of Laos, one of the most biodiversity places on earth. Over the years Nick has visited The Kri many times to document their language and way of life through photography and interviews. During these visits Nick developed a strong rapport with The Kri people, witnessing political, social and generational changes. Nick reached out to me to direct a digital storytelling project about The Kri people. It was important to Nick that the Kri's story extends beyond the 15 or so niché linguists who might thumb through an academic tomb. We decided to frame the digital storytelling project around low impact living aimed at an inquisitive global audience, such as The Guardian readership. The Kri people genuinely live off the land and their vernacular, livelihood and philosophies reflect this. Although it is by no means perfect, there are many ways in which the developed world, now focused on sustainability, can learn from The Kri's way of life. With this frame in mind I sorted the photographic content into poetic themes tied to low impact living including impermanence, hardship, thresholds and exaptation. The themes make up a series of photo essays which sit alongside of multimedia text essays and an interactive map. The digital storytelling platform is designed to expand as the research is ongoing. Hosted by Sydney Ideas, the launch event brought together a multidisciplinary panel to interrogate low impact living from the perspectives of architecture, linguistics and environmental justice. Panelists include Professor Manfred Lanzen, Michael Muir, Christine Winter, Professor Enfield and *significantly less distinguished* me.